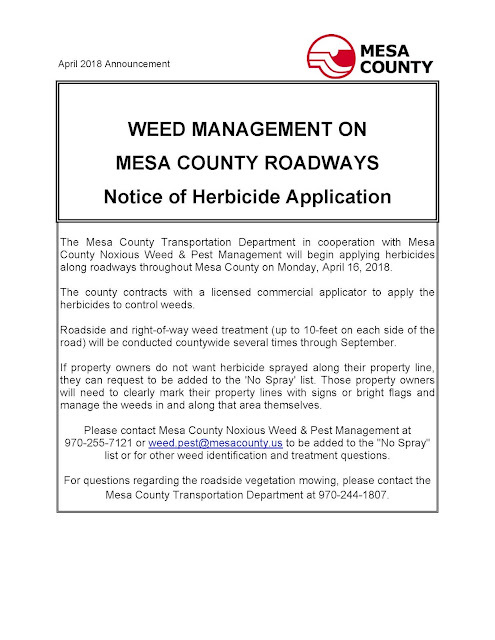 The Mesa County Transportation Department in cooperation with Mesa County Noxious Weed & Pest Management will begin applying herbicides along roadways throughout Mesa County on Monday, April 16, 2018. Roadside and right-of-way weed treatment (up to 10-feet on each side of the road) will be conducted countywide several times through September. 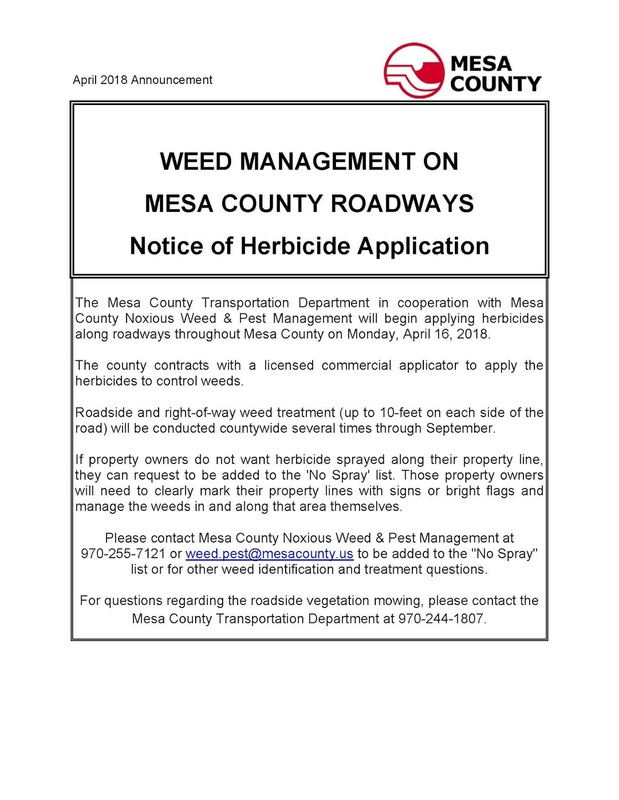 Please contact Mesa County Noxious Weed & Pest Management at 970-255-7121 or weed.pest@mesacounty.us to be added to the "No Spray" list or for other weed identification and treatment questions. For questions regarding the roadside vegetation mowing, please contact the Mesa County Transportation Department at 970-244-1807.